And just after I told you all to go there too! Sorry. Bad timing. 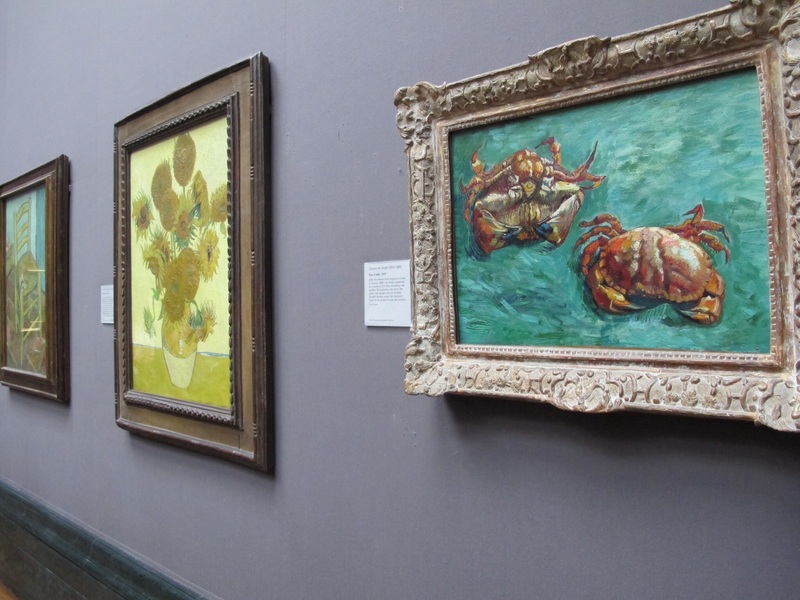 National Gallery staff strike shuts down most exhibitions | Art and design | The Guardian. And you can do just that at the Globe theatre – for the princely sum of a fiver. 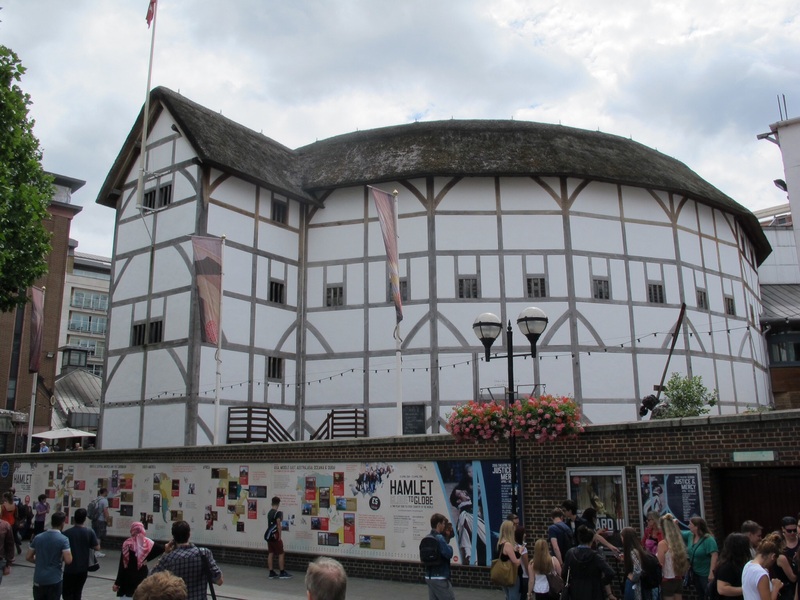 Groundlings pay just £5 to see a play at the Globe so if you have a strong constitution and can take whatever weather old Blighty throws at you, it’s the way to go. Tickets for seats – lets actually call them what they are – “the MOST uncomfortable wooden benches you don’t really sit on, you perch on, and all your blood runs down to your toes til you feel sick and giddy and overwhelmed with vertigo” – cost quite a bit more, upwards to £50 depending on how close your level is to the stage. Currently Richard II is playing at the Globe and it’s very good. There’s actually lots of humour and I thoroughly recommend it if you have the time. Also playing (but I haven’t seen) are Much Ado About Nothing and As You Like It – two of my faves playing through til September but not on every day. Tickets go quick, so do book – their online site works well. 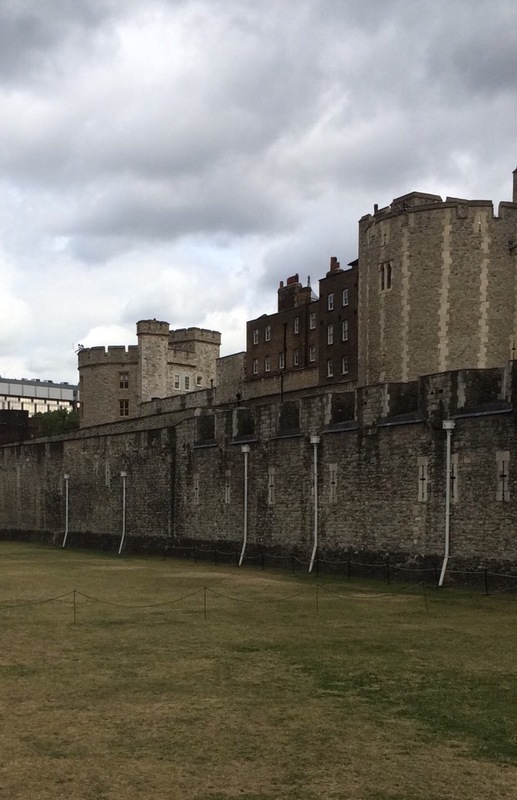 The Globe is really easy to get to – it’s a lovely walk along the Thames from Waterloo Station. Try to get there an hour at least before hand to have a pint at the pub next door before the play. Make sure you rent a cushion for £2 and you can rent a “seat back” if you’re on a middle pew and don’t have the back of the section, or the front balustrade, to lean on for a change in position. Also note, if it’s a hot day – the back rows of the seated sections catch and hold a lot of the heat and it gets muggy – very muggy. So bring in a bottle of water. There is an intermission – make the most of it to stretch your legs. Photos are allowed before and after a performance, but obviously not during. 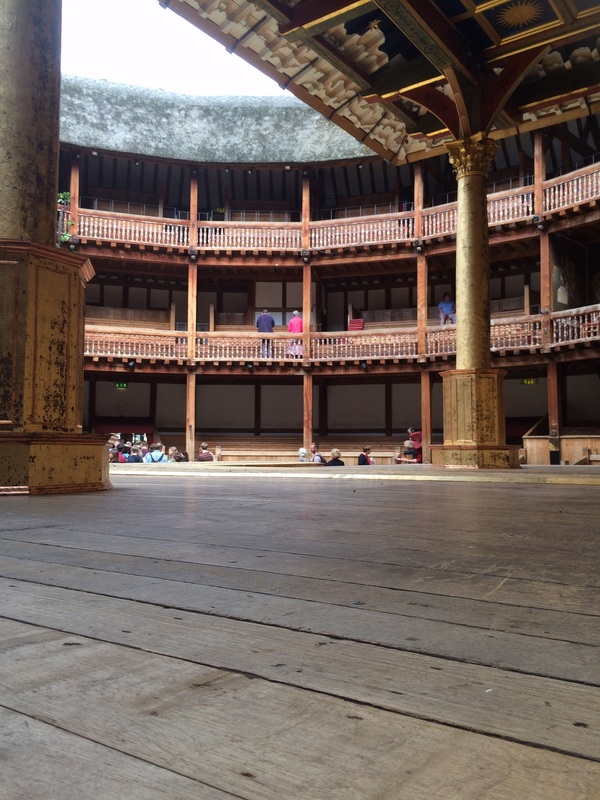 The Globe is one of those magic places to make a pilgrimage to. A play here is quite something – it’s performance to its very core. It would be hard to find actors playing more up to the crowd than in this arena, and of course the history, the restoration of the building itself and the playwright who’s name it bears all draw a crowd for good reason. If you get a near it – and you will because it’s so central – take the time to go into the National Gallery at the top of Trafalgar Square. It’s free and it has PLENTY of seating right in front of some of the most celebrated paintings OF ALL TIME!!!! Feel free to read that again in Kanye’s voice. Even if art isn’t your “thing”, you will know what these paintings are and by whom. You will. Trust me. You will have heard of these artists – because they’ve been referred to in modern culture so many times – THAT’S how very good they were. My main man Van Gogh is here – but not his Starry Nights which is my favourite (not only because of the Doctor Who episode with that magnificent speech by Bill Nighy that was superb!) but his Two Crabs which is my second favourite work of his. His Sunflowers is also here – more well known than his other paintings and certainly the focus of the tat in the gift shop. But for mine, Two Crabs is glorious. The colours get me every time. He painted this the year before he took his own life. 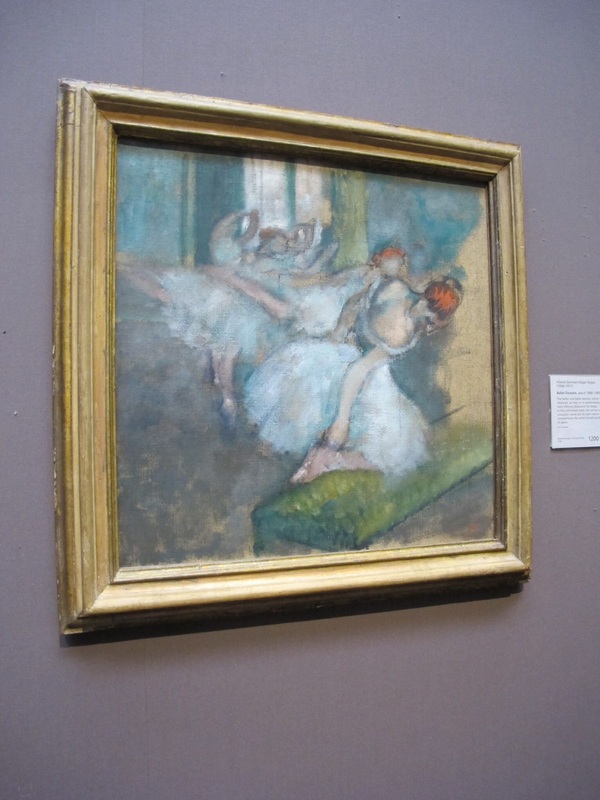 Works by Degas are here – his beautiful dancers. Monet and Manet – side by side even so you can get the differences straight 🙂 Renior, Dürer, Constable, Talouse-Lautrec, Gauguin, Cezanne…honestly. This is the who’s who of the age AND it’s only one section of the gallery. While away an hour or two. Sit and sketch from some of the very best. Have a coffee in the cafe and come back for another few hours. 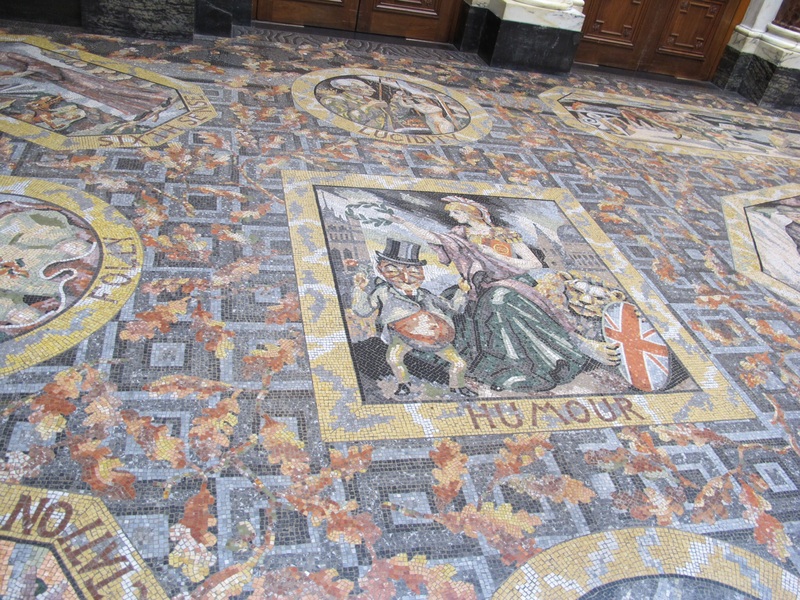 It truly is a magnificent place – even the ground you walk on is beautiful. This article explains the first half of my holiday. A noisy brain, internal rules about what I “should do” instead of what I needed to do. I particularly like the point on rest not just being physical – and slthough difficult, stopping the mental, spiritual and emotional angst/business is necessary. I intend to be more mindful of my negative inner talk and reverse it for the second half of my time away. The Underappreciation of Rest in Today’s Society. 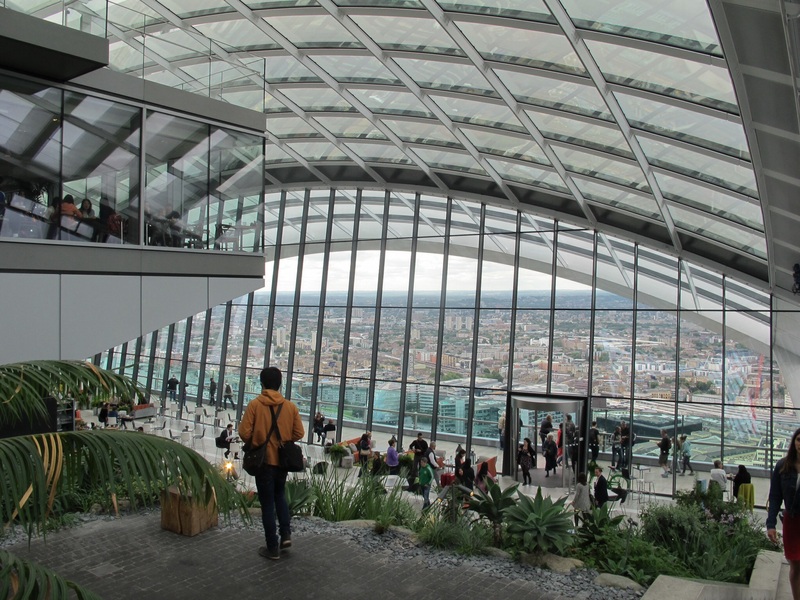 If claiming the high ground is important to you – or you find some perspective helpful – the Sky Garden might be for you. 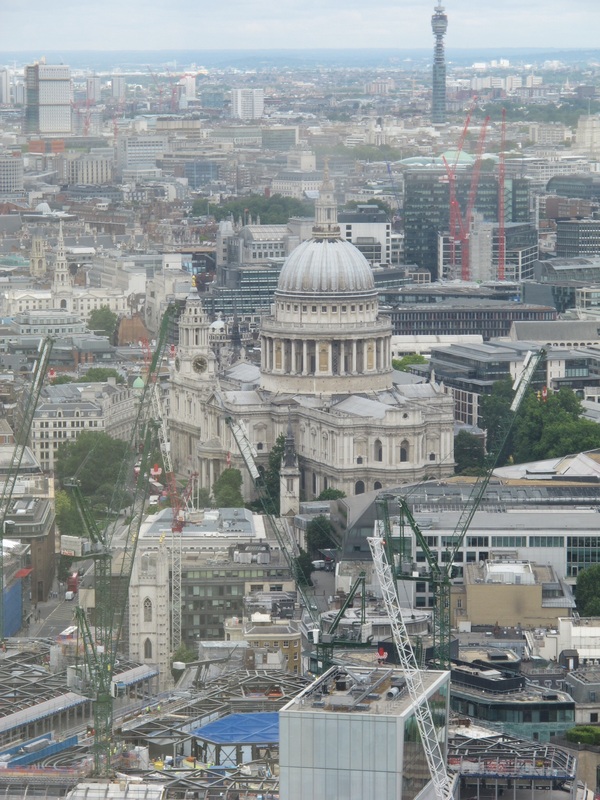 There are plenty of places that will charge you for seeing London from their dizzying height – but the Sky Garden does it for free. 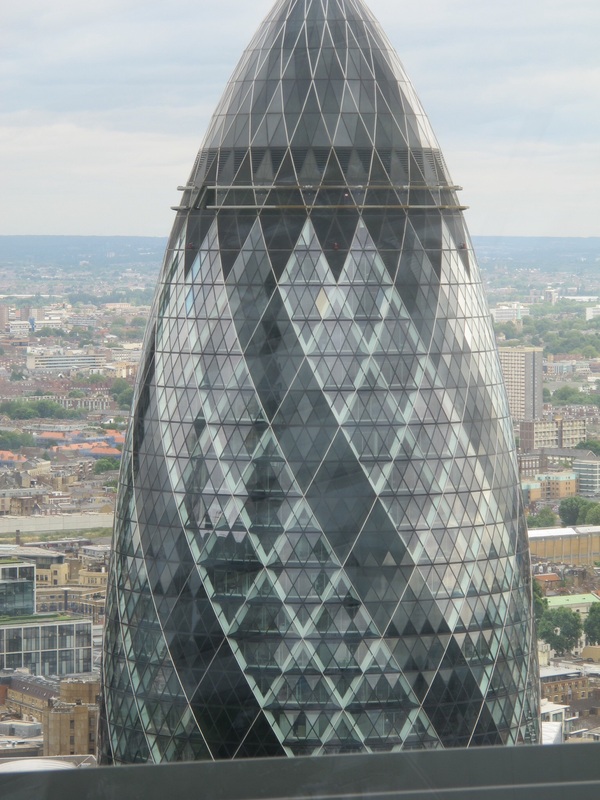 The Sky Garden is at the top of the building affectionately known as the Cheese Grator. 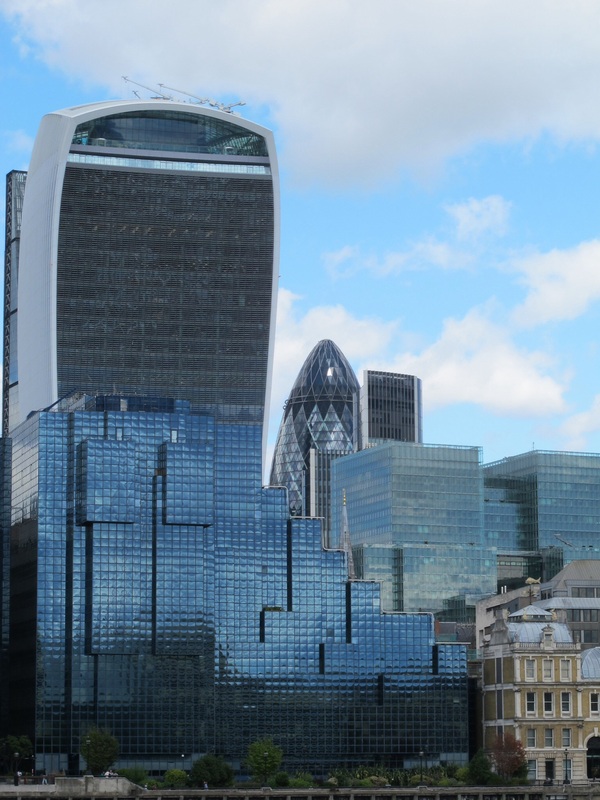 It’s on Fenchurch Street near Monument Tube but it’s an easy 10 minute walk from Bank Tube (and a few others). You need to book your free ticket on their website – Sky Garden website – and give them all the details for security and a bag search airport-style on arrival. I didn’t have my water or apple/snacks confiscated so I don’t think they are too strict. 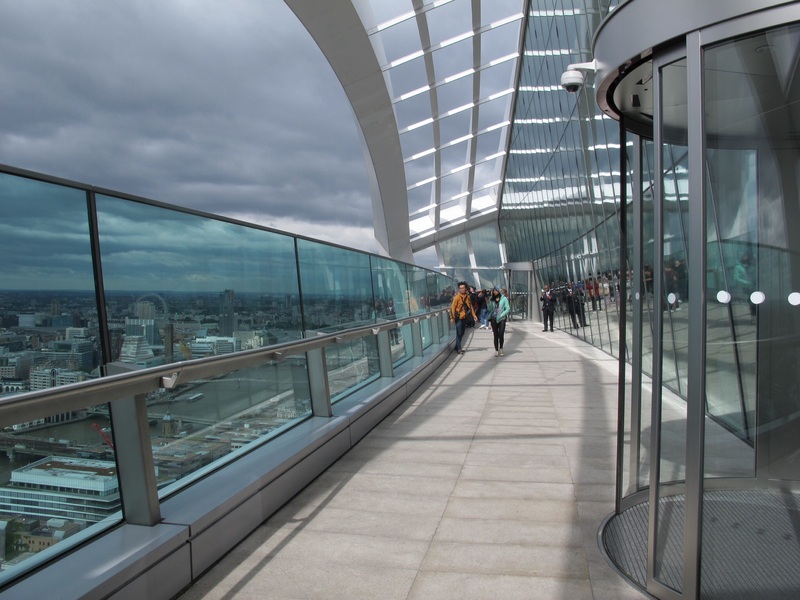 There is a small walkway on the south side (that’s the Thames side) open to the outside, though the staff monitor the wind speed and will close it if it gets dangerous. There are some lovely fern garden beds to walk and sit amongst that are constantly sprayed with mist to ensure the humidity and moisture stay constant. There is a reasonably priced cafe – the coffee wasn’t too bad for London! – but if you go up late in the afternoon, the cocktails are a little pricey. There are also some more pricey restaurant options up on alternate levels – but as you’ll see in the photos – these are set back from the main windows of the building. Check their website if that is more your style. There are other options to get high in London – but they will all cost you something. 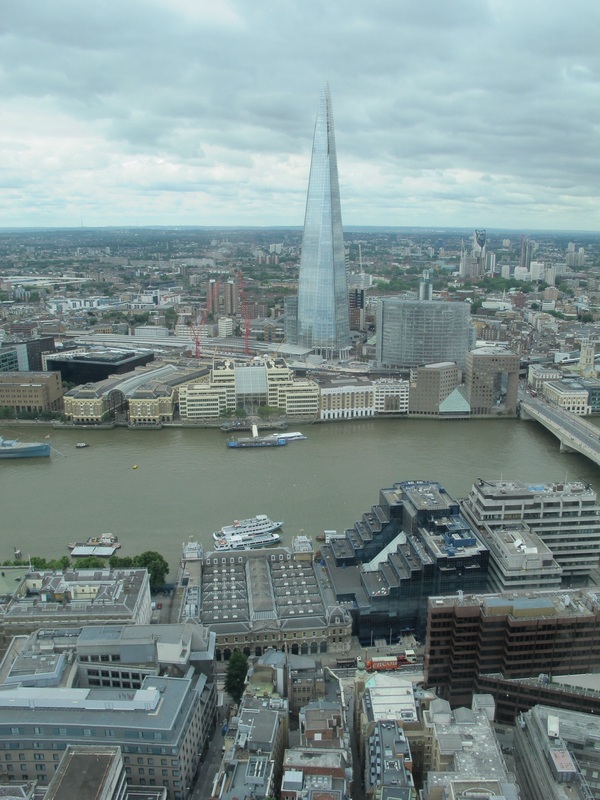 The Shard is considered the best – 69 floors up and £25. You can go for a spin on the London Eye (£20 plus) or the Emirates Air Line back from Greenwich will set you back around £5 one way. You can climb Primrose Hill just off Regents Park or Parliament Hill in Hampstead Heath – they are free excepting a little sweat. 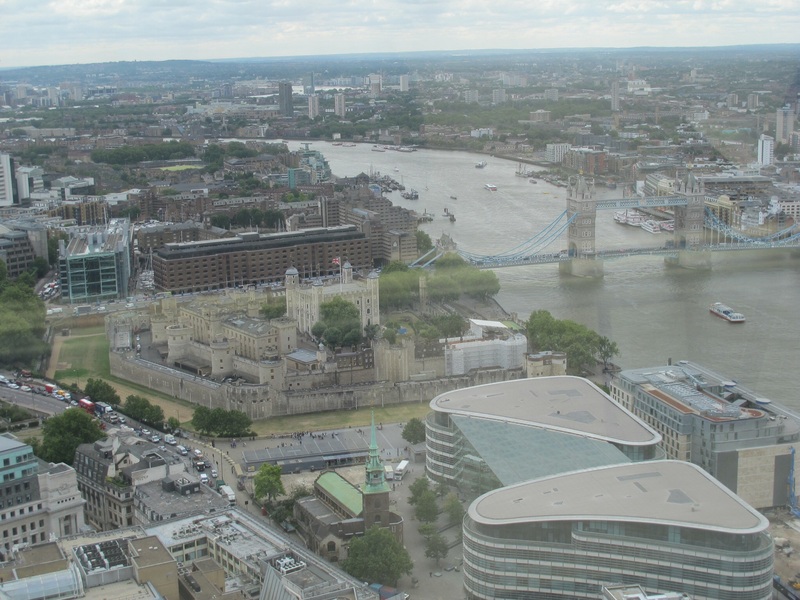 But then they are miles away and will give you a view of the city skyline, not a view down to the winding Thames. Sometimes traveling on your own can be lonely. I can miss the sound of voices conversing with me. But if I hang out in a tourist spot for a few hours, hearing the banal drivvle that some call conversation cures me of that quite quickly. Traveling solo is practically permission to focus on what people are actually saying to each other AND I get to guess the reasons why. How parents talk to their children. How lovers – old and young – talk to each other. The passive aggression. The controlling superiority. The waspish snap of judgement. The indifference. And then like a light in the midst – a dad and his son walk through the throng holding hands. He’s pointing out what there is and why it comes to be here and they learn something new together. Smiling. Awesome. Give me deep conversations. The ones with meaning, not glib opinion. The debates and connections, not the trivia and shallow observations. I want the stories of living a life, not the tasks and to do lists. And to hell with those speaking to hear their own voices. They seem to be everywhere. I imagine them talking in movies – pointing out something that no one else can possibly miss because it’s 40foot tall in front of us all. You can keep the endless roundabouts of two people agreeing with each other – fine tuning their identical points of view with an insignificant nuance. What do they end up with? It’s boring and pointless. They haven’t solved the problems of the world, but they certainly look pleased with themselves. People watching and listening – now I can spend hours doing that. Step one. Dream of where to go. Step two. Save like a mad woman. Step three. Deliberate on which planner to plan trip in. Hum. Hah. Try a few different sorts out. Gather supplies. Create templates. Try them out. Tweak them. Try again. Bin them. Google and Pinterest and Facebook planner groups. Drool and rub hands together. Step four. Shop for cute accessories to go with possible planner options. It’s not just me is it? Yes! Penpals. Remember them? I love letters. I love getting them and I love writing to people I hope like getting them too. Social media makes keeping in touch easy, but that contact can be reactive, quick and non-committal. It can also be a bit depressing really. 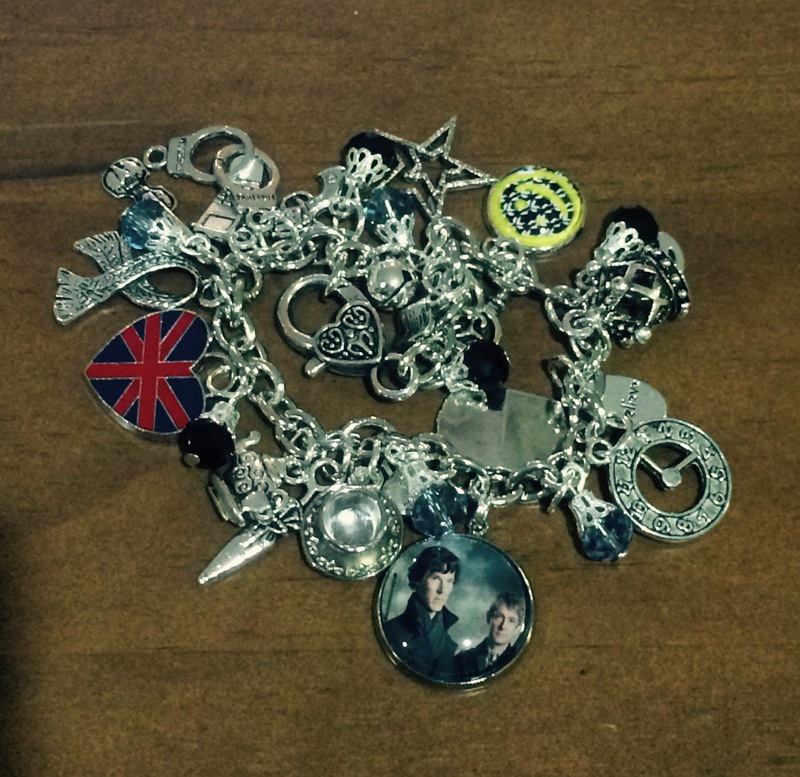 I want more. I want to write a ‘decent’ letter – you know, one that someone will pour over for a while and hopefully not find boring. Pages and pages of news and tidbits that the recipient will read over a good strong brew, they’ll smile and exclaim at what’s been going on and they’ll want to write back a reply. That’s the type of letter I want to get! Yes I could call, text or email but a letter! with a stamp and everything – now that’s magic. Sometimes I think I was born in the wrong century. I watch period movies where people keep letters tied with a luscious ribbon and keep the parcel safe and cherished for years in an ornate box. They read and reread until parts are complete in memory. I have a lovely box I keep all my correspondence in – birthday and Christmas cards, the odd postcard, but I don’t have many letters. That makes me a little sad. The PDF document linked below is what I’ve created for anyone to print. I use a type of planner called an ARC. 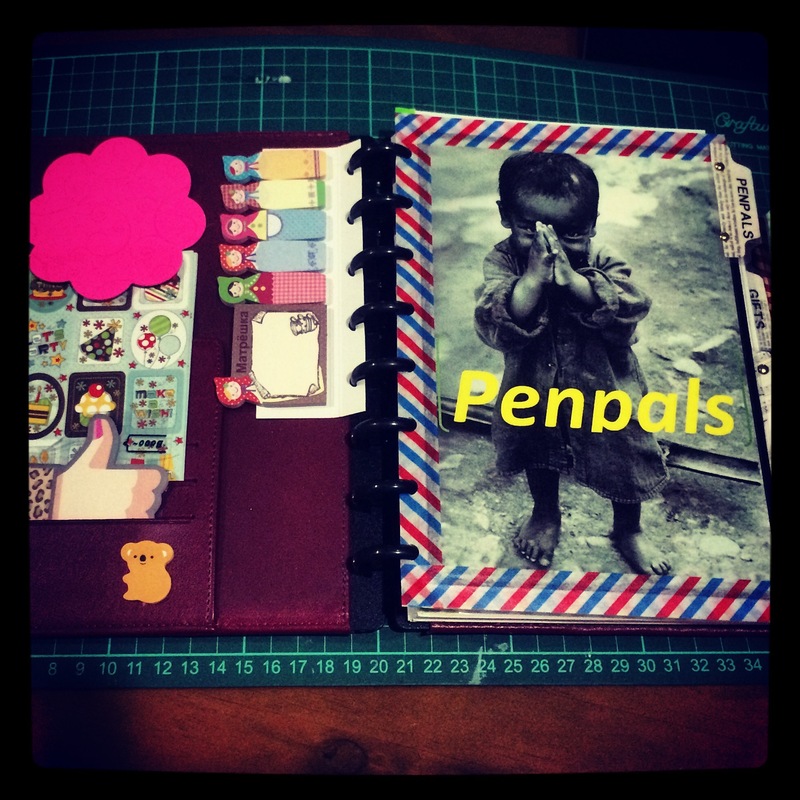 It’s a discbound system and I’ve set up an A5 ARC (similar size to USA junior size) as my gift/Christmas and penpal organiser. The document pages are set up on an A4 page so it prints 2 to a page and should print back to back with a margin big enough to be punched to fit discbound/rings or whatever type of organiser you use. I hope you find it useful :). Happy letter writing. 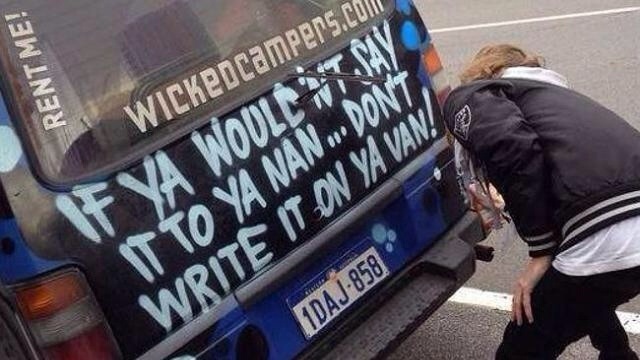 Wicked vans are your cheapie rentals for backpackers to self drive around Australia. They pride themselves on being outrageous and edgy with their graffiti like paint jobs. More and more, the slogans they are painted with are misogynistic and offensive. 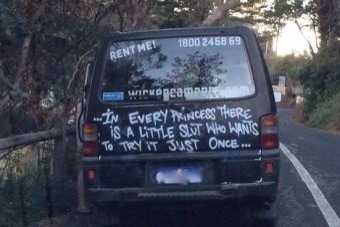 One couple decided to repaint their van…And it’s brilliant. 27 April 1997 – South Africa’s Freedom Day – and 3 years since Mandela had won the Presidency. A small group of us travelling overland through Africa took the day trip out to Robben Island. A bus met us at the jetty and we drove around the island first. We went to the quarry where the prisoners dug a schoolroom and taught each other to read. A quick stop at the old car painted with a welcome message to the All Blacks rugby team. Past the house Robert Subukwe was kept in by an act of parliament – 6 years longer than his sentence. And then to the prison to get out and walk. The island had been handed over to the Department of Arts, Culture, Science and Technology and they had invited back prisoners to work as guides. Our group was guided around by Lionel – who had served 7 years here as a prisoner. 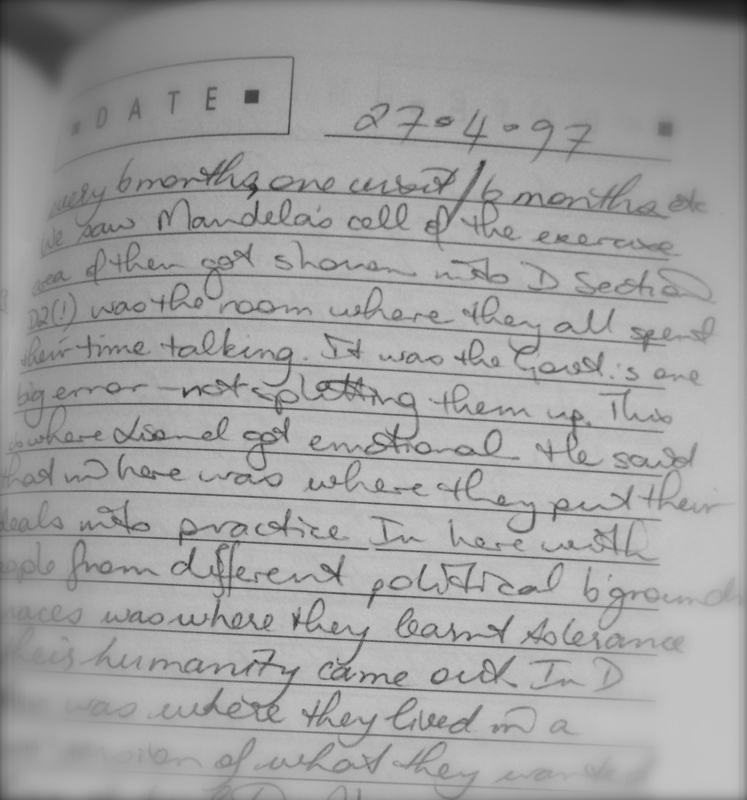 In flicking through my journal from that day, he had so many stories to tell us. About their punishments for “offences”, having to pay for study, receiving one censored letter every 6 months and so on. 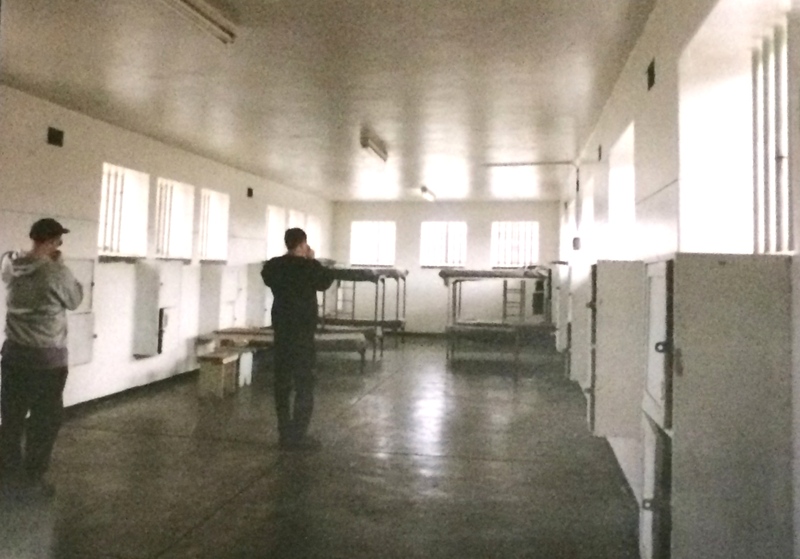 He took us to Mandela’s cell – and we all took turns looking into the smallest of spaces – trying to imagine it holding for so long the man who was now President. The one thing that stays strongest with me from that day was the last building we stopped in inside the prison complex. One room where the prisoners spent their time talking. This is the place Lionel got emotional. He said the wardens had made a mistake by allowing them to be together – that the government should have split them up. He said that it was in this room where they put their ideals into practice. In D Section – with prisoners from different backgrounds/political ideologies/races/education levels and so on – was where they learnt tolerance and their humanity could shine through. 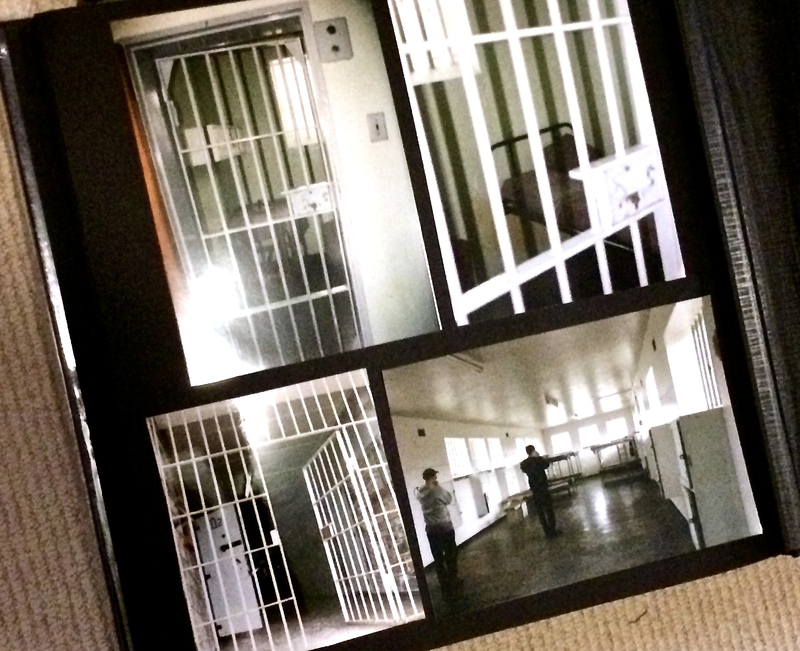 In this room they lived a micro-version of what they all hoped and dreamed for outside the prison walls. Strange, isn’t it? The place the government sent Mandela to punish and break him, was the place where he triumphed. 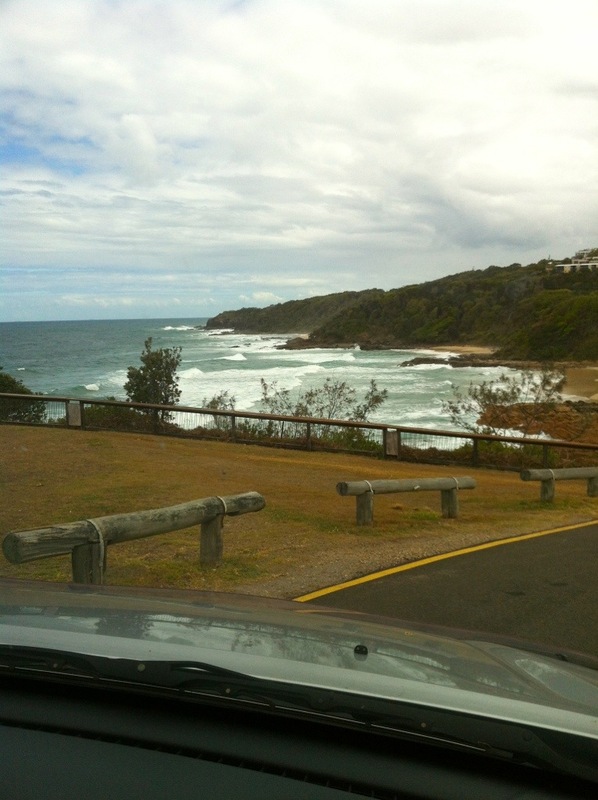 Time to get cracking…why would you want to live anywhere else? 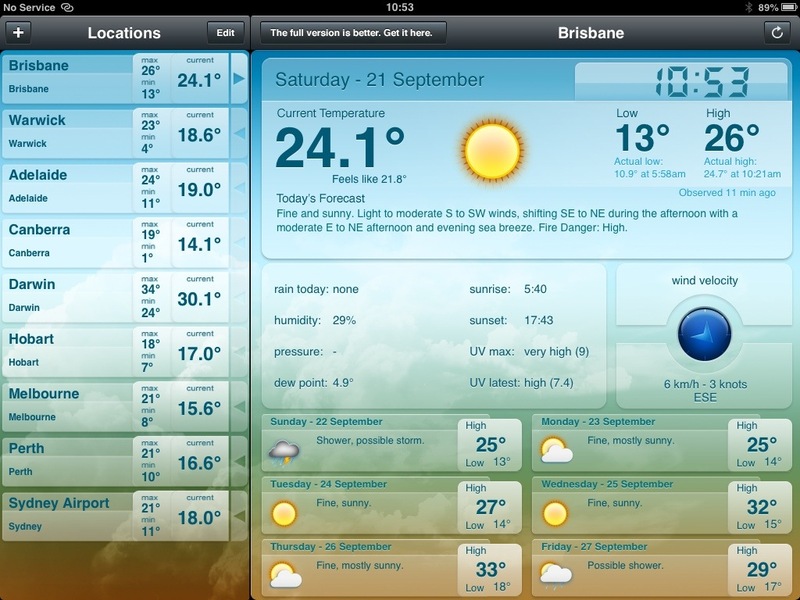 Brisvegas does do a lovely spring. Have a good day everyone. 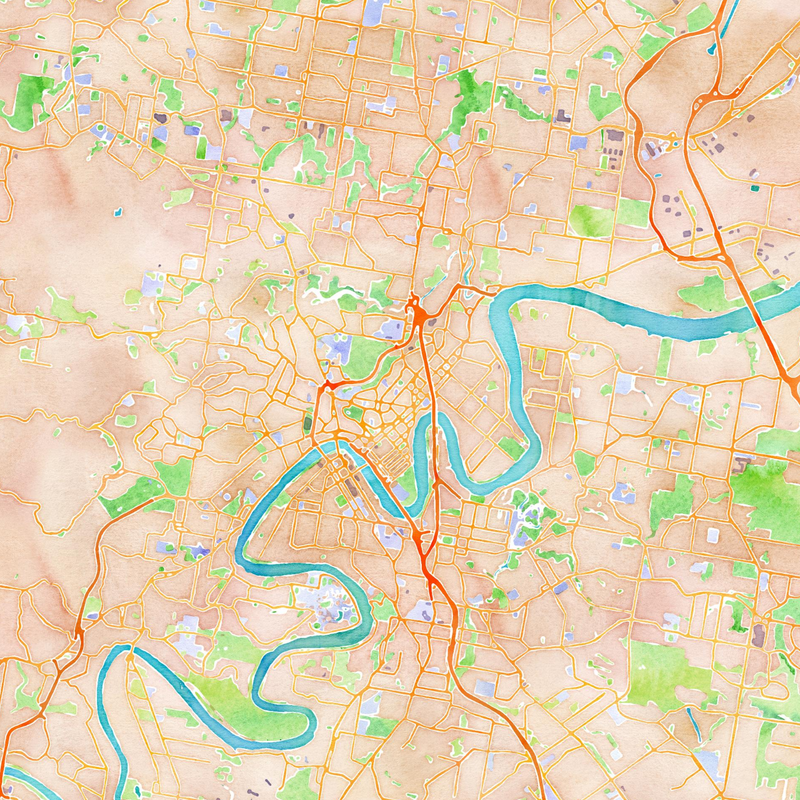 Stamen’s website allows you to type in a place and it renders a map of it in watercolour. Fantastic for scrapbooks of travel, framed on your home’s “Wall of Life”, or part of your travel journal all marked up with where you have been – or want to go! There are some extraordinary people who have spent their lives fighting for the preservation of the natural world – Dian Fossey, Ron and Valerie Taylor, Steve Irwin, Rick O’Barry, the Cousteau family, Trevor Long and David Suzuki, to name a few. They have a lot in common. Tenacity. Drive. Determination. An ability to gather supporters around them – who either volunteer or work alongside them or fund their efforts. An ability to make enemies – dangerous ones at that when it comes to the “business” of poaching. They inspire the rest of us – particularly children. It’s a rare person indeed who has earned the respect and holds the attention of teenagers. Standing tall amongst them is Sir David Attenborough. One month after heart surgery to fit a pace maker, Sir David made good on his promised tour to Australia. 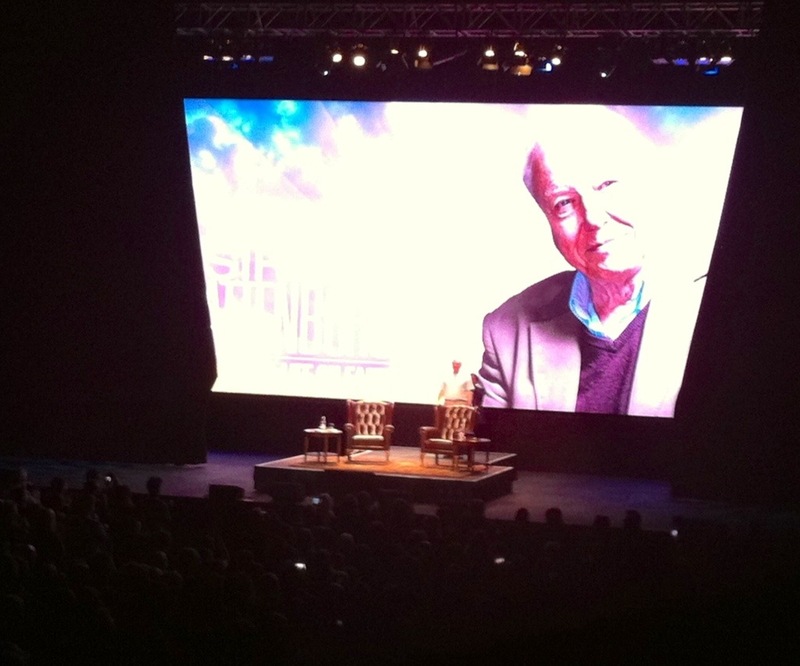 An evening spent listening to him speak about his life – prompted by questions from Ray Martin. How he got into the role we love him for, what are his favourite moments, what was scary, how has the work of nature documentaries developed and improved over the years. So much to hear about and only 2 hours to hear it in. 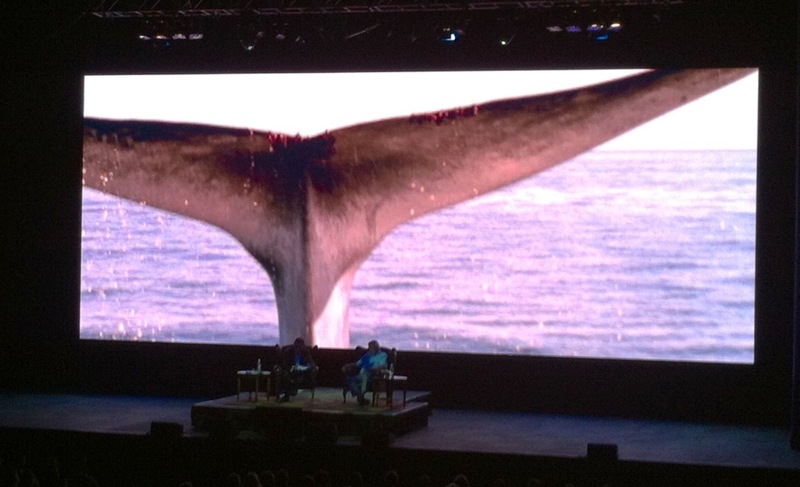 Some lovely stories, stunning footage and an audience rapt to listen to it all. I spent the evening next to my nephew, who didn’t miss a word – and who didn’t miss his Xbox either. To see and hear a living legend was a treat well worth the money, time and the late bedtime on a school night. 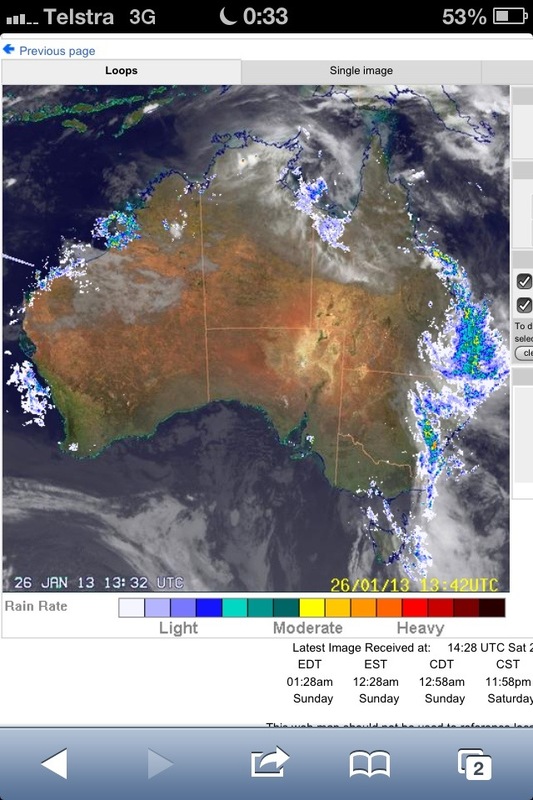 The current weather radar for Australia Day is looking pretty grim for the east coast. A downgraded cyclone has lashed up north and now the coast gets the water and the wind. From the Far North down to Central Queensland is already flooding with the coastline communities just north of Brisbane copping a shellacking from tornadoes!?!?!? We never get them near the coast. Weird times. Weird weather. Buckle up, cos its been a mild summer and I think we’re about to get the sting in its tail. 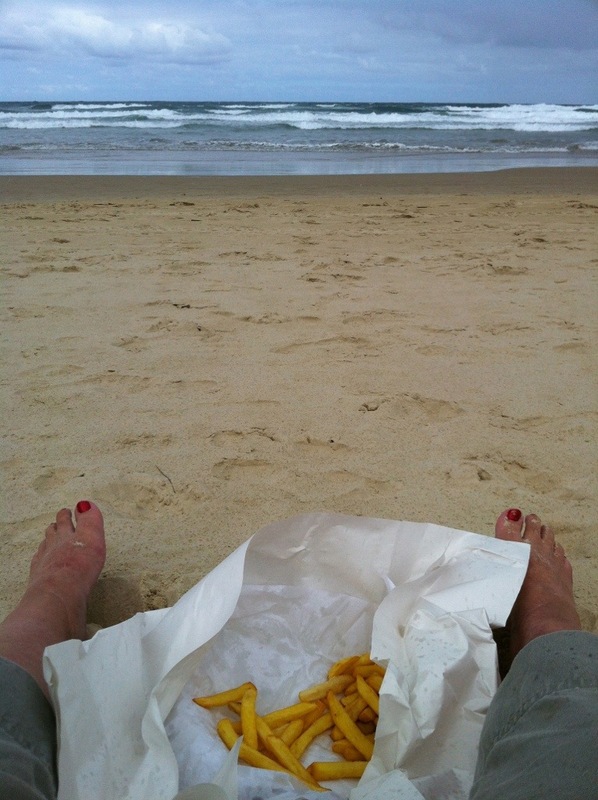 On the drive back from a wedding up north, I took a detour an hour out of the way to hit the coast for a late lunch on the beach. It was not the best weather for it – but it was lovely none the less. 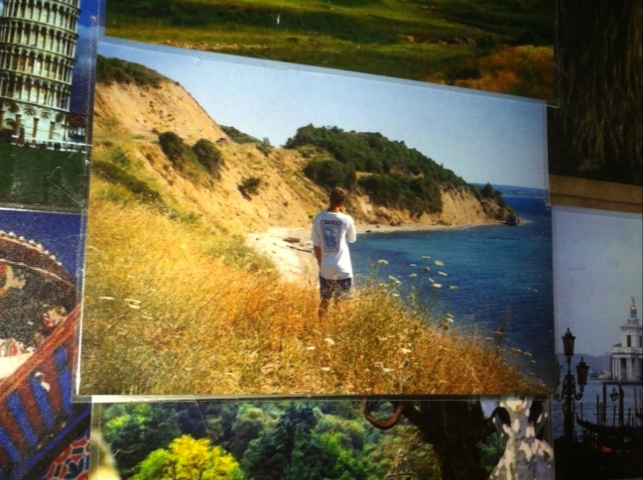 This is my favourite photo from when I was in Gallipoli in 1997. A bus full of Aussie and Kiwis poured out at each memorial site within the National Park. We didn’t have a guide to go around the 10 or so sites we endeavoured to get to – but then we didn’t really need a guide. We all grew up with the stories of these places. On the bus was the time to share with each other what we’d learned from childhood onwards about places called The Nek, Lone Pine, and Shrapnel Valley. Once the bus stopped, there was no talking. Everyone scattered. Lots stood quietly, walking the tracks in silence. 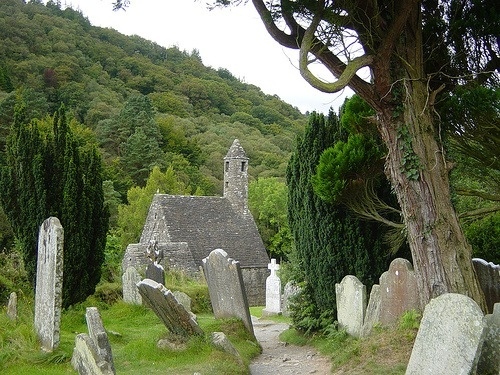 We tidied the graves as we went – picking out weeds, chipping of bird droppings, using our drinking bottles to water the plants that other visitors had planted previously. At two stops we searched for the grave stones of family. One of our first stops was Anzac Cove. It was such a beautiful day. The sun shining, birds were chirping. The only thing missing was a bunch of kids skylarking in the water. You could have heard a pin drop, until Scotty started playing the “kiwi lament” on his harmonica. Awesome. Haunting. Extraordinarily touching. We were running out of time as there’s a curfew on the Park access. 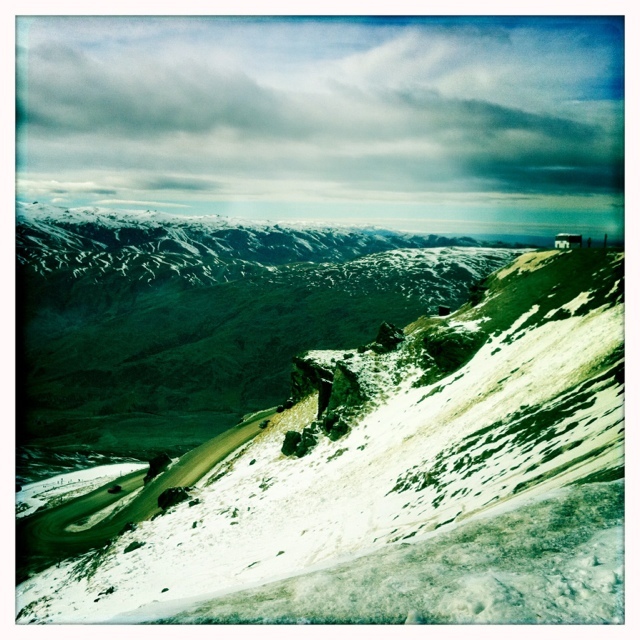 We voted to skip a few places so we could make it up to Chanuk Bair – the New Zealand memorial. It’s a stunning memorial. It is also one of the few that still has maintained trenches at the site. The sun was starting to set so we had to go. 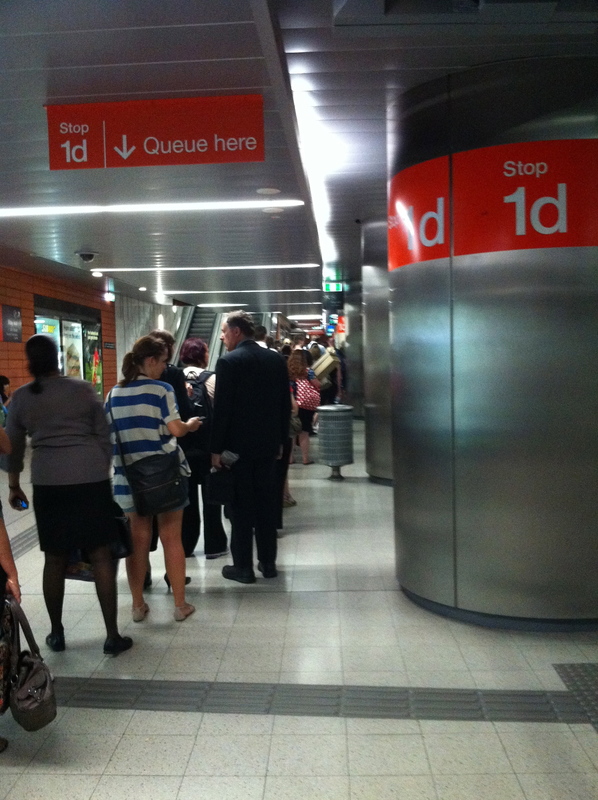 This is when the boys in particular didn’t want to leave. A lot of bartering and maneuvering was attempted with the bus driver to come back in the morning and pick up those who wanted to sleep rough on the hill. No go. Such a wrench to leave – no one was ready to go. 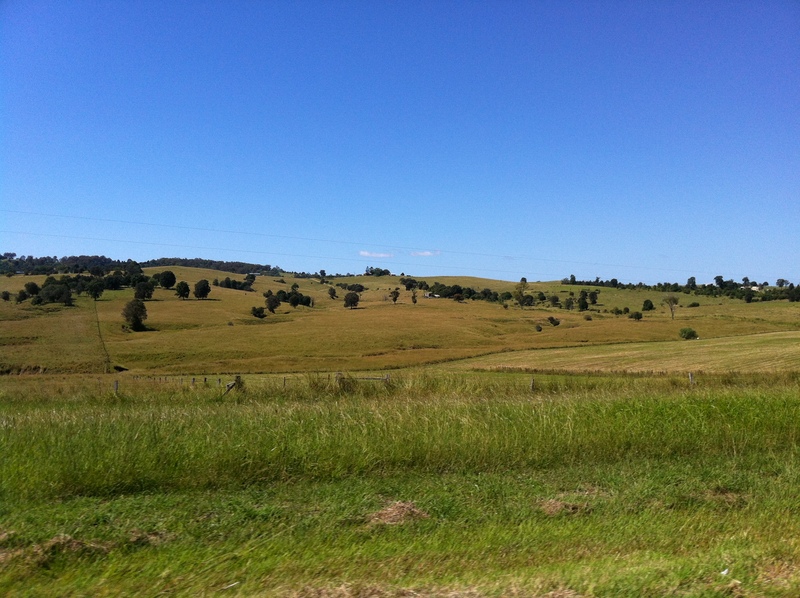 I love the drive out to mum and dad’s place. It’s even nicer when I get to be a passenger and can sit and daydream. Although it’s getting dry, there’s still green to be seen. Out west will be needing some rain soon. Today I remember where my family came from and how they came to be Aussie. Slánte! It’s Waitangi Day in NZ. It’s an interesting story if you’ve never read the history. I always know the day. I think a lot of Aussies do. I see so many similarities in the marking of the day with our Australia Day shenanigans. There is debate and angst about the inequality of the original inhabitants and the invading people’s in the one land. A lot of distrust and long held sorrow. The Aussie government’s disgraceful delay in apologizing for the years of policy that shattered families across the land…and continues to affect them all generations later. All these things rear up again on a commemorative day. There is so much water under the bridge – with little allowance made for the fact that the bridge is a long way downstream from where it began too. I like the Waitangi story – I love the pride in the Maori culture, I wish all Aussies had more understanding and respect of the Indigenous cultures here. There is so much we don’t know. I spent a lot of this weekend in the car. In the rain. Driving. A lot. I love my car – Rupert. 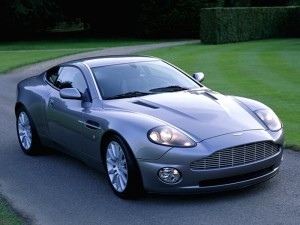 But my next car will be Bond, James Bond. It’s a bit angry up there.